Are you a teen living near Laplace, LA? If so, you might be ready to buy your first car. After you get your license, it’s probably all you can think about doing. After all, you’ve already waited so long for your freedom. But if you want to handle this the right way, you have to be smart about the kind of car you get. You’ll want to find affordable Nissan Pathfinder pricing. Take a look at the following tips to help you get into a car that will serve you well for years to come—without completely breaking your budget. You’re going to have to start saving early if you want to be able to take advantage of Nissan Pathfinder pricing. Sure, your parents might want to help you pay for your car a little bit, but the bulk of the responsibility should be up to you. Therefore, it’s smart to think of ways to save as much money as you can before you get ready to buy your car. Save your money from holidays, birthdays, and from work if you have a job. That way, you can think about buying once you get your license. While you may like the idea of driving a new car around when you’re near Laplace, LA, and anywhere else you go, that’s not an option for most young people. It’s probably in your best interest to look for a used car instead. That’s because used cars are much less expensive than their newer counterparts, and it will allow you to pick out something that’s reliable and practical. That may not sound too glamorous now, but you’ll be grateful for it in a few years down the road. Most teens living near Laplace, LA, won’t have the kind of credit they need to purchase a car on their own. Therefore, if you have to take out a loan, you should ask your parent, guardian, or a close family friend if they would be willing to co-sign with you. This will allow you to take out a loan on a used car so that you can pay it off over a set period of time. 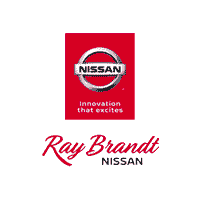 When you are ready to find amazing Nissan Pathfinder pricing in the area, come see us at Ray Brandt Nissan.